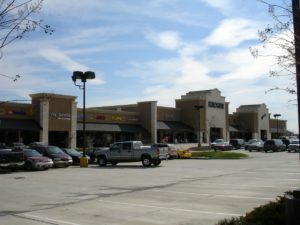 MQ Development Company specializes in the acquisition and development of retail shopping centers and retail anchored, mixed use projects in select markets in Texas and Florida. The MQ group of companies was established by Donald Silverman in 1991. • Selection of superior retail and mixed-use sites based on state and municipal thoroughfare plans and future single family development projections. The ability to identify strategic new store sites for local, regional and national retailers, is the key factor that insures the continued success of MQ Development Company. Creating retail destinations requires the ability to visualize the potential of underdeveloped areas, evaluate underperforming properties for a higher and better use and to understand individual retailer’s new store strategies. MQ Development Company’s core business focuses on ground-up development, and the re-development of shopping centers primarily located in Dallas/Ft. Worth and the greater Tampa, Florida area of the United States. National retail giants, The Kroger Co., Aldi, Home Depot, Cinemark, Target, and Wal-Mart have anchored developments created by MQ Development Company.